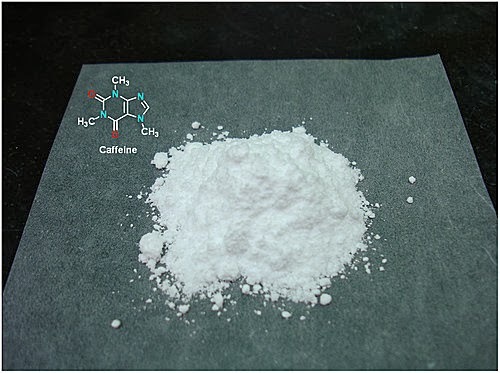 圖2. 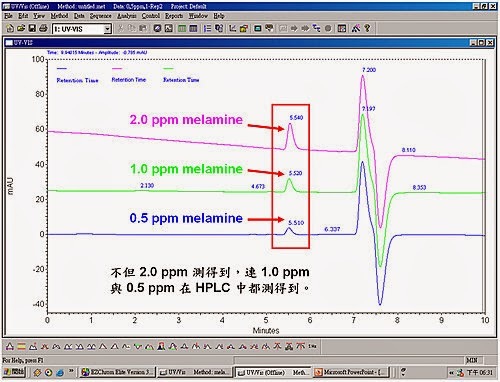 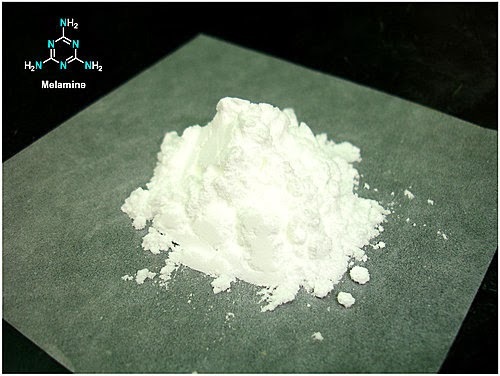 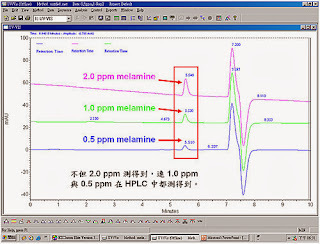 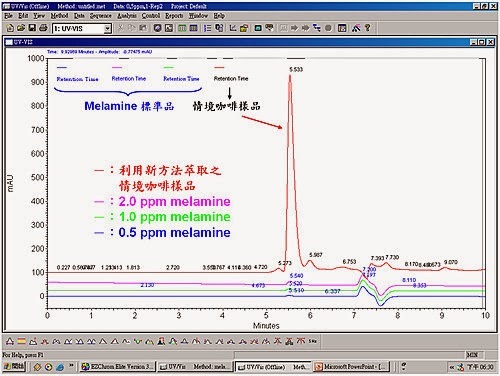 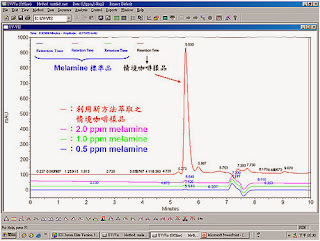 Determination of Melamine Residues in Catfish Tissue by Triple Quadrupole LC-MS-MS with HILIC Chromatography. 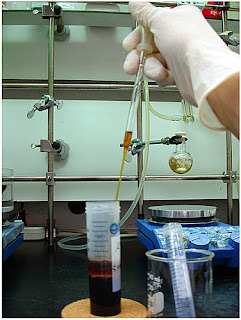 This extraction is a modification of the UC Davis method1. 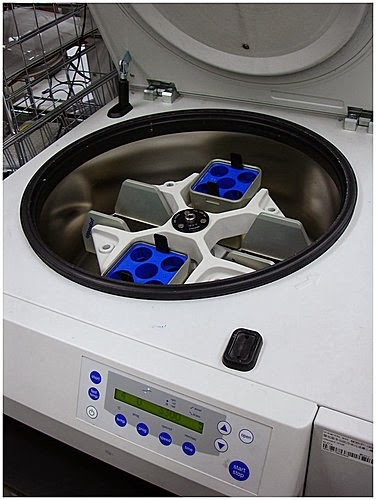 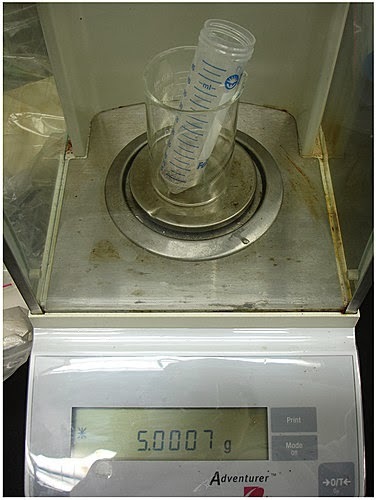 Homogenized catfish tissue (5.0 g) was weighed into a 50 mL polypropylene centrifuge tube. 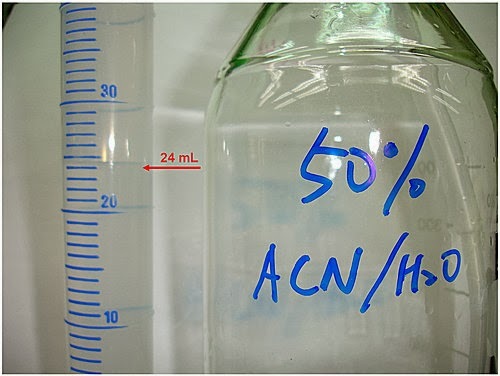 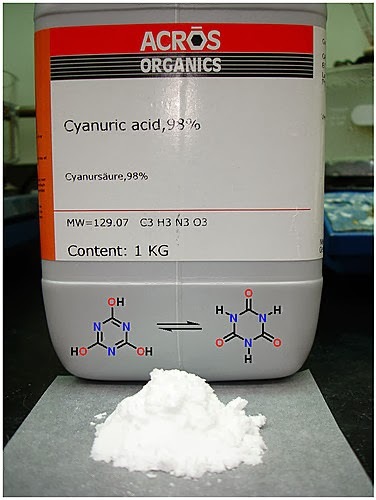 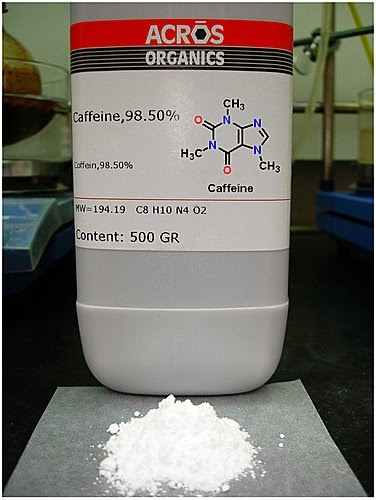 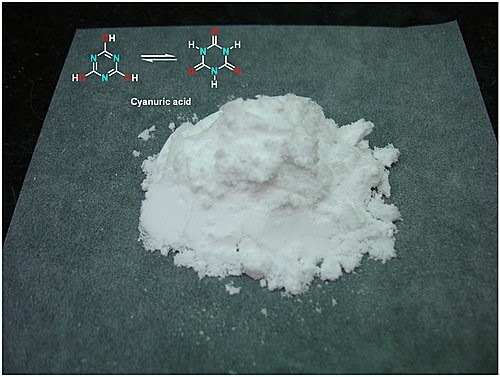 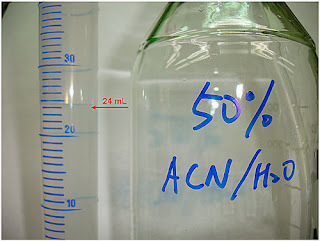 To this was added 24 mL of a 50:50 (v:v) solution of acetonitrile:water and 1 mL of 1.0 N hydrochloric acid. The sample was capped, shaken vigorously for 30 seconds and then vortex mixed for 1 minute. 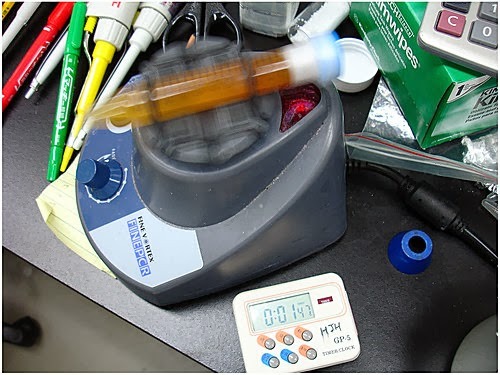 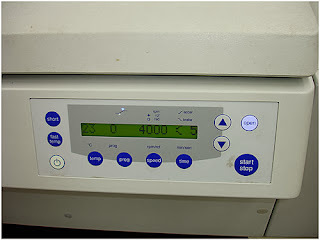 The sample was centrifuged at 4000 rpm for 5 minutes at 5 °C. 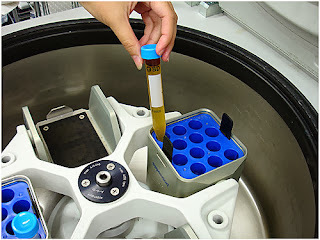 Breaking through the solid fat layer at the top of the sample with the tip of a pipette, a 5 mL aliquot of supernatant was removed to a 15 mL polypropylene centrifuge tube. 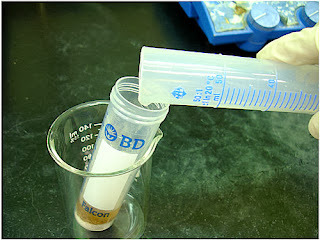 The remaining portion in the 50 mL tube was discarded. 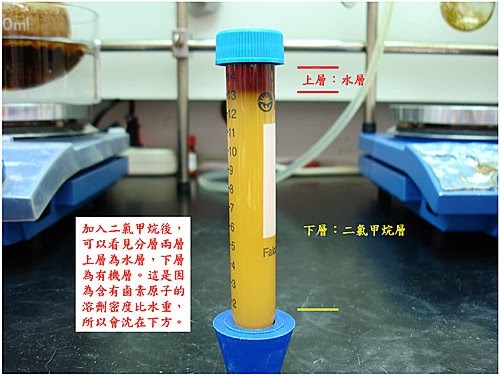 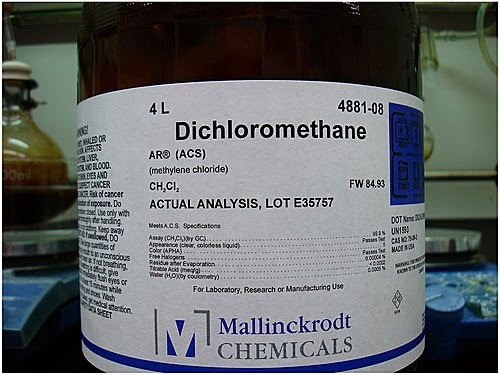 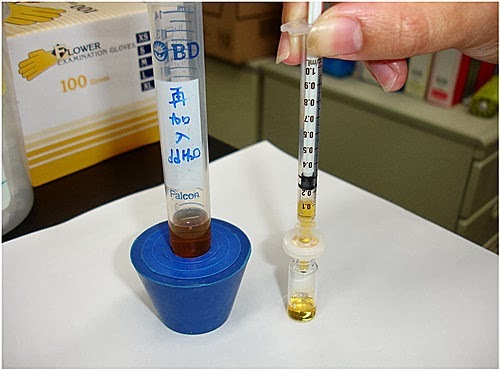 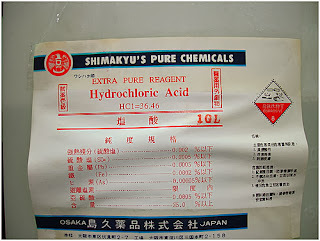 Dichloromethane (10 mL) was added to the contents of the 15 mL tube, and the sample was shaken for two minutes. 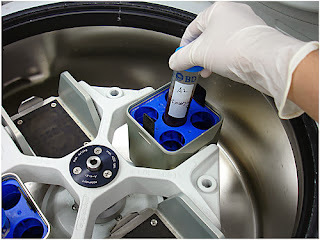 The sample was centrifuged at 4000 rpm for 5 minutes at 5 °C. 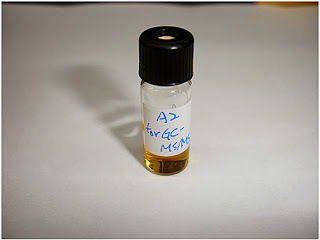 A portion (2.5 mL) of the upper aqueous layer was carefully removed to a glass culture tube. Water (2.5 mL) was added to the dichloromethane layer and that sample was re-extracted by shaking for 1 minute. 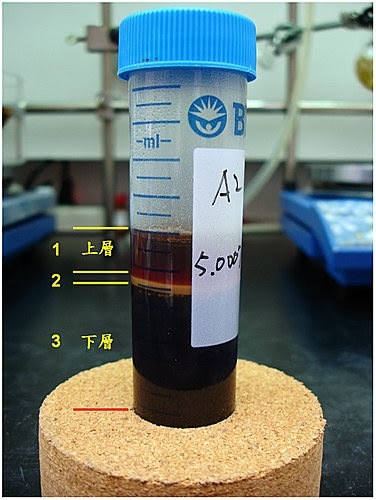 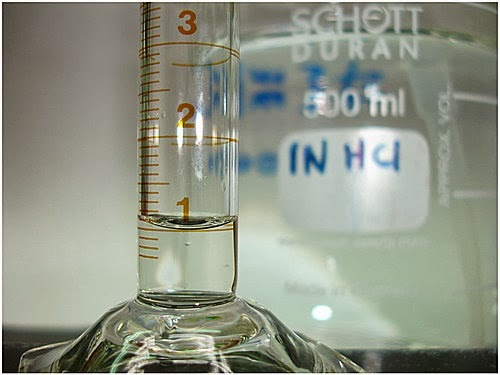 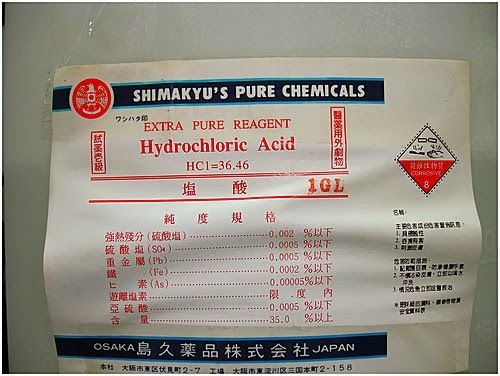 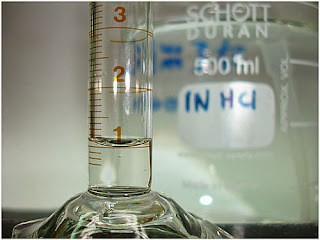 The polypropylene tube was again centrifuged at 4000 rpm for 5 minutes at 5 °C, and the entire upper aqueous layer was removed and combined with the first aqueous extract in the glass culture tube. 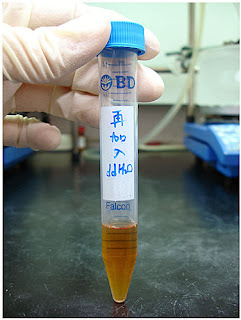 This extract was vortex mixed for 5 seconds.